It is almost weekend! Although I still need to get ready for tomorrow's lecture I am seeing the Friday evening approaching to me with open arms, can't wait. Is anyone planning to go to see a movie? I might check out James Bond. Or maybe another one on the couch depending on my mood. Alternatively we might go for a cocktail or two so that I can write another funny post. Today I have one of the most luxurious treats you can think of for your holiday wish list. 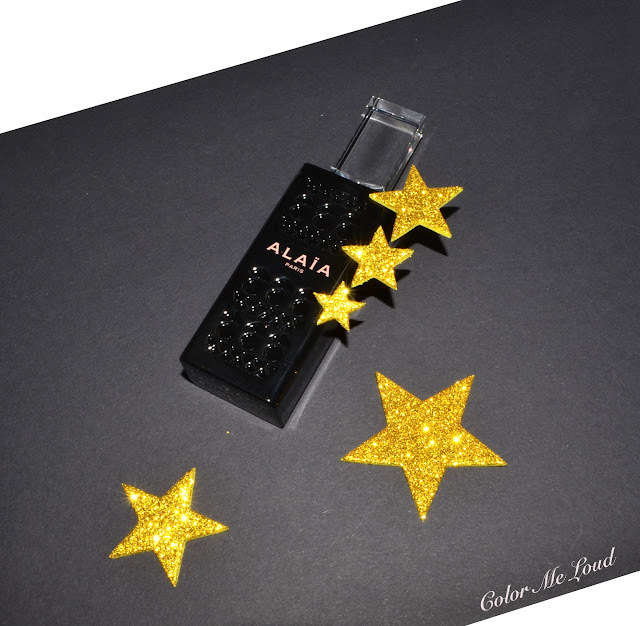 I have been literally obsessing over Alaïa Paris Eau de Parfum (reviewed here) during the last two months. I almost reached for no other fragrance but Alaïa everyday since weeks. I emptied around one third of my 100 ml flacon, which is almost unheard of considering the size of my perfume stash. The complexity of Alaïa's fragrance makes it a hard-to-find-gem among the designer perfumes, especially once it is combined with its office-friendly sillage and great longevity. And if you already loved the olfactory painting it offers, it is available in higher resolution version for Holiday season. It now comes in a luxurious 20 ml Extrait de Parfum flacon! *happy sigh*. It has taken Azzedine Alaïa, group of his closed friends and the nose behind the perfume, Marie Salamagne, long years to put a childhood dream of Alaïa in the bottle. Alaïa was raised in Tunisia and he longed for his link back to the days when his mother put cold water on to the hot brick walls. It is remarkable what kind of memories take us back to the days. As Helen Keler once stated “Smell is a potent wizard that transports you across thousands of miles and all the years you have lived“. Hanging on to memories of humidity, Alaïa achieves a fine balance between cold and warmth. It is welcoming by the first sniff but more and more addictive each time you let it touch your skin. 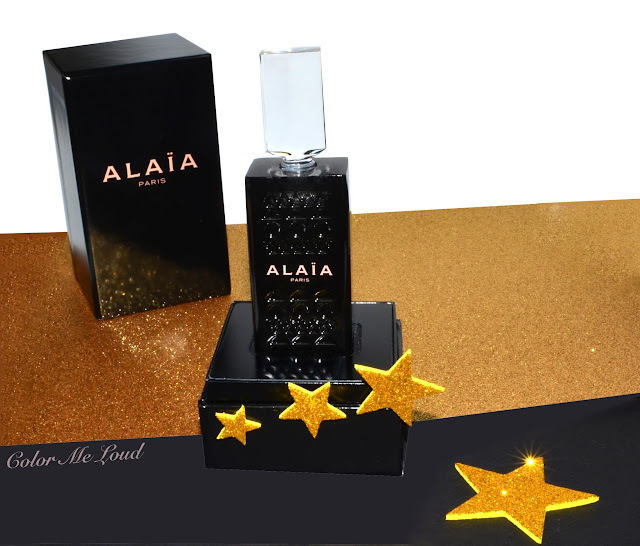 Alaïa Paris Extrait de Parfum comes in a special box to protect the hefty glass bottle. The crystal cap has a glass applicator which adds an additional something to the experience, a little nostalgia which makes me feel like a princess in my own castle. Alaïa Paris Extrait de Parfum stays true to the original but it gets even better than that. Think about a unique tune you love hearing on a good car stereo going dolby digital. 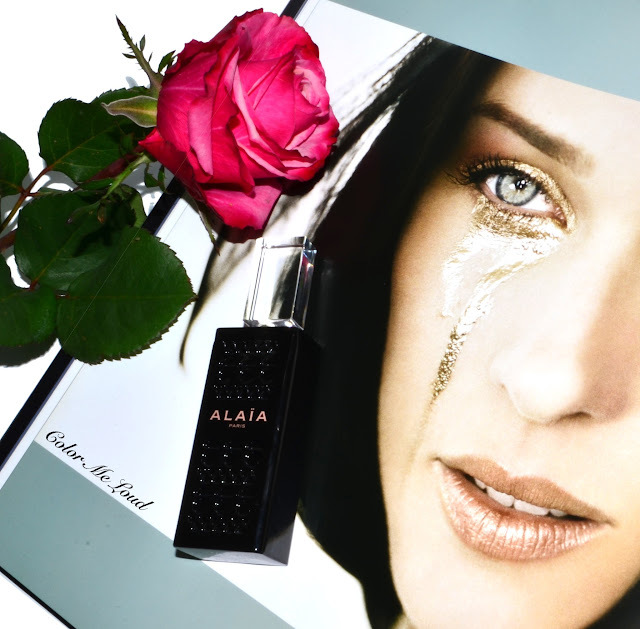 More dimension, more resolution, more of every single gorgeousness Alaïa Paris Eau de Parfum has to offer. Alaïa Paris Extrait de Parfum definitely has a broader, deeper base and more warmth to its top notes as well as more complexity to its heart. The longevity can't get better, with one dab on my wrist and I can still smell it after 15 hours. I even got a compliment from hubby while writing these lines although I applied it 8 am in the morning. Chapeau! Alaïa Paris Extrait de Parfum claims to give you a second skin and it achieves it. The balance of warmth and freshness, the leather and florals, the spice with muskiness. It must be one of my favorites of all time. You need to check it out. Final thoughts: Thumbs up to this extraordinary Extrait de Parfum release. I am already obsessed about Eau de Parfum to start with but it gets even better with Extrait de Parfum. It is hard to praise it on paper, you all need to go and take a whiff. Do you own any Extraits? How do you feel about them? Well that sounds exquisite!!! I do not have any extraits....I shall definitely try to get to test this one. If I were to spend this kind of money on fragrance, I'd rather have something really special, than one of those Tom Ford Private Blends which, i don't know, to my undoubtedly indadequate nose all have the same generic floral drydown. I have Cartier's Baiser du Dragon in pure form. This one sounds too good, but I have way to many bottles! We will see, but I have a feeling it will be mine. this one is really unique to my nose. I know what you mean about Private Blends. I also have the same feeling about Armani Privates although I had high hopes. Try this at the counter, I love the Extrait one even more than the Perfume.